All types of paprika are made by grinding pepper pods to create the bright red powder that is found in so many dishes. The final product can take one of several forms, including spicy and sweet paprika. Smoked sweet paprika is common in chicken and seafood recipes and registers at about 250 Scoville Heat Units (SHU), meaning that it’s not very spicy at all — in fact, it’s rather sweet. Although its flavor is necessary for some dishes, other dishes use smoked sweet paprika as a coloring agent. This is common in some soups and sauces. A variety of dishes can benefit from the flavor added by smoked sweet paprika, and it can also add a beautiful pop of rich red color. Its unique flavor adds a slight smokiness and an element of sweetness that combines perfectly with almost all kinds of cream-based sauces and soups. It also pairs extremely well with many different kinds of poultry, shrimp, and pork. Smoked sweet paprika can be used in vinaigrettes and oils to add a rich flavor to salads, and it can give a smoky edge to either deviled or baked eggs, even when it’s just used as a garnish. It is important to remember, however, that using paprika as a garnish or decoration will not always provide you with a lot of flavors — paprika has to be heated in order for its full flavor to be released. Smoked sweet paprika can also be added to soups and stews that are made with lentils, sausage, beans, or seafood to provide a deeper and more complex flavor. It is easily added to lots of other dishes as well, and it also offers many health benefits because it contains vitamin A, vitamin E, vitamin B6, and some vitamin C.
Paprika made from sweet peppers does not contain capsaicin, which is the compound that gives peppers their spice, or heat. Capsaicin is known to help lower blood pressure, which can be a very beneficial side effect of spicier paprika. If you’re wondering whether you should use smoked sweet paprika in your meal, remember that it will add a sweet smoky flavor and provide you with added health benefits as well. Paprika is made by either grinding or drying various kinds of peppers. The origin of the peppers first used to make paprika was the Americas, specifically Mexico, and they were first discovered during New World explorations in the sixteenth century. These peppers were taken back to Spain, where paprika was created. Two major types of smoked paprika were eventually refined — Hungarian smoked paprika, which is made by drying the peppers in the sun, and Spanish smoked paprika, made by smoking the peppers over a wood fire. Over the years, many types of paprika have been created and produced. Smoked sweet paprika is one of the milder varieties of paprika that comes from Spain, which means that it is made by drying and grinding sweeter peppers over burning wood. This is why smoked sweet paprika can have a smokier flavor than other kinds. 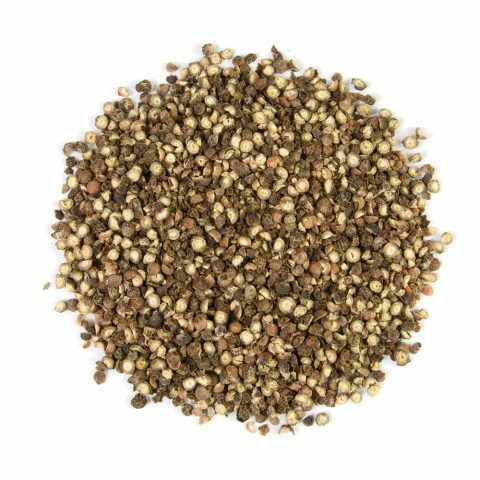 The sweetness of the paprika is achieved by taking out the pepper’s seeds before grinding it, as the seeds are a major component of the heat of the pepper. Hungary, Serbia, the Netherlands, Spain, some areas of the United States, and China are some of the major producers of paprika, and it is made in other countries as well, wherever the peppers will grow. Like many other plants, they should be grown in well-drained fertile soil with lots of sunlight. In some places, they are planted and kept indoors for the first part of their development and then later moved to the outdoors, depending on the climate. Most paprika peppers are harvested sometime between summer and fall. The climate determines how quickly the peppers mature, which can be seen in their bright red color, showing that they are ready to be harvested and dried. 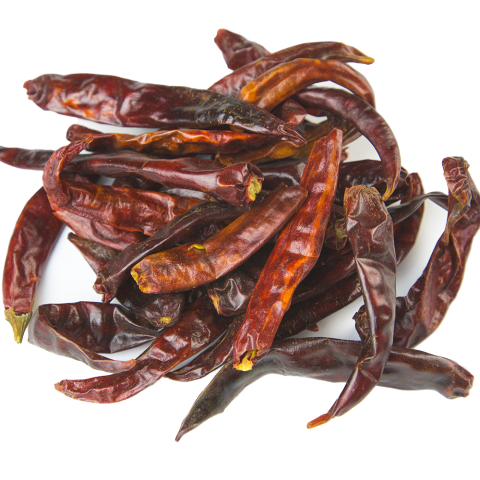 The drying process can be Spanish style, where the peppers are dried and smoked over smoldering wood, or they can be left in the sun and dried in the Hungarian fashion. After harvesting, Burma Spice paprika peppers are immediately set to dry in a smoke house. This method ensures that the smoked sweet paprika they produce will be full of rich, sweet flavor. All of our paprika peppers are grown and smoked in Spain, which is one of the countries where paprika was first created. This means that the smoked sweet paprika you purchase from Burma Spice is authentic. You’ll be able to taste the difference once you begin adding the Burma Spice smoked sweet paprika to your meals!